Diane Chamberlain has done it again -- written a fantastic new book that will keep you turning pages until you get to the end. I have read all of her books and the new one is one of my top three favorites. Thanks to the publisher for an early copy of this wonderful book to read and review. If I could give it more than 5 stars, I definitely would! Tess and Vincent are the perfect couple. Living in Baltimore, MD with their wedding only a few months away they have great plans for their future. Vincent, a doctor, and Tess, soon to be a nurse, plan to go into practice together after they get married. After a bad decision by Tess, she ends up married to Henry Kraft, a secretive man who she barely knows and living in Hickory, NC. Her husband is well known and well liked in Hickory but everyone assumed that he would marry someone else so Tess is disliked by the townspeople as well as her new husband's family. She is an outsider with no friends and no family to help her understand the town and her husband. Henry has lots of secrets from his new wife and Tess is unable to figure out her new husband. When a polio epidemic strikes NC and the town builds a polio hospital, Tess goes against her husband's wishes and goes to work at the hospital. While she is thrilled to be using her nursing training, will she ever be able to find happiness in her life? As with previous books, Diane gives us believable characters and circumstances. She went into so much interesting detail about life in this time period as well as how the people with polio were treated and what nursing care they required. This book connected with me on a lot of personal levels too. My mom was in nurses training in 1943 just like the main character. Plus, I live in NC, less than 100 miles from Hickory and never knew about the polio hospital that the citizens of Hickory built in less than 54 hours to help combat the polio epidemic in 1944. I have been on Google reading more about it and the history of Hickory since I read this book. I love it when a book is so wonderful AND teaches the reader about history that was never taught in history books but should have been. 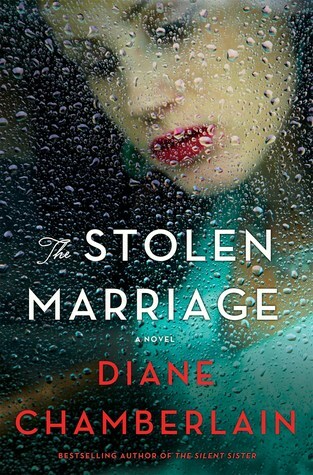 Thank you, Diane, for a wonderful new novel. I loved it!